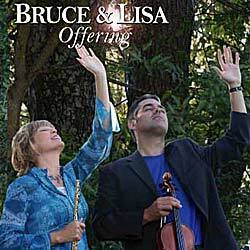 BRUCE & LISA's Latest CD "Offering" is Now Available! BRUCE & LISA's long-awaited new release, "Offering," has finally arrived! This new praise and worship CD contains an inspiring mix of upbeat praise hits and worship favorites. Order your copy today! Order Your Copy of Offering Now!